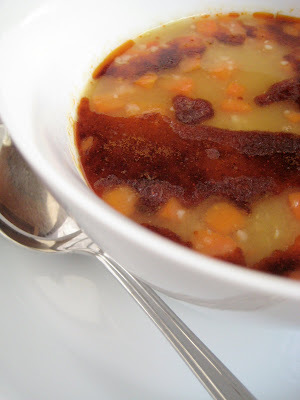 Is there anyone who does not like red lentil soup? I haven't met that person yet. Here is one more red lentil soup from central Anatolia. The original recipe requires couscous. Turkish couscous is just like pearl couscous and is prepared like pasta as opposed to North African couscous. However, for this recipe, I used regular, north African small couscous. -Heat the stock in a pot. -Once it starts boiling add red lentils and carrot. Cook until lentils are cooked--approximately 20 minutes. -Add couscous and cook for another 10 minutes. -Turn it off and add salt. -In a small frying pan heat butter. Add paprika and let it sizzle for 10-15 seconds. -Serve the soup in bowls and pour the butter+paprika on top of each. I’ll definitely have to try this recipe out... it looks wonderful! I can't believe there would be anyone who doesn't like red lentil soup. And this one looks delicious! Hi! 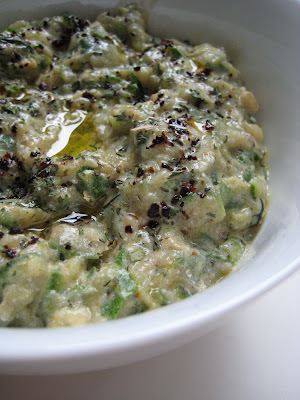 I don't remember how I found your blog, but I have made several of the recipes and my husband (who is Armenian) and I both love them! The red lentil soup is cooking right now. I don't have any paprika, so I'll add a few spoonfuls of bell pepper/garlic ajika when the lentils are done. Your blog is a great resource!! Your recipes are always so simple and elegant. I don't heart red lentils but I love couscous so maybe this could work, maybe. Burcu mail adresin neydi senin? Artik eskisini kullanmiyosundur heralde. Yazsana bana bi sana tarif gondercem. This one looks very thick and my kids like thick one too. It would be healthy too for them. Hi:-) thank you for this delicious recipe. After my vacation in Turkey I decided to try some meal of their amazing cuisine and this one was a really good choice. Thank you for this recipe! I halved it and added some fresh dill, some chopped garlic, some chili oil, and a dash of red wine vinegar, and loved my serving. Thanks for sharing it!